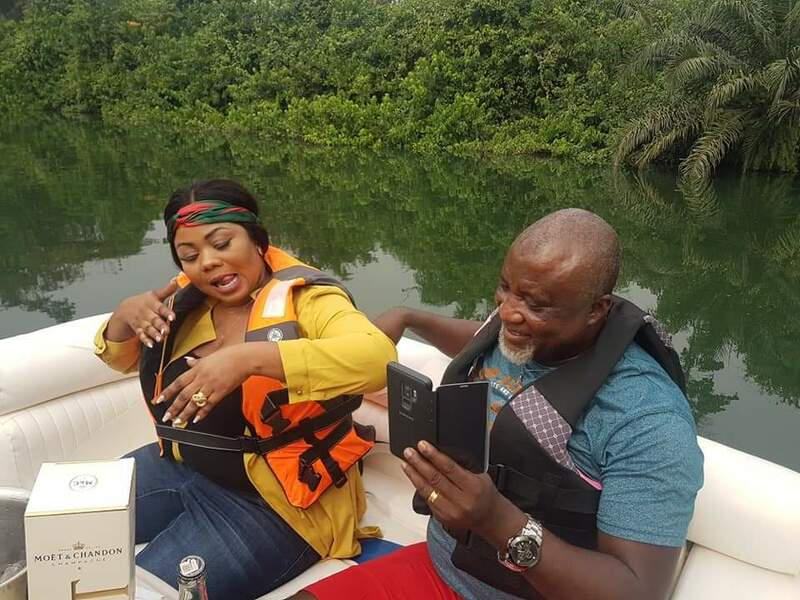 The latest celebrity couple Mr Hopeson Adorye Empress Gifty Adorye have been spotted having fun after their classic wedding in December 2018. Attractivemustapha.com has sighted the images of the couple in a party mood inside a jet ski at a location suspected to be Aqua Safari. Among the couple were the songstress’ mother popularly known as ‘Maame Fante’ in showbiz circles who has obviously been of immense support towards Empress Gifty Adorye’s life and career as a musician, her manager and some others.